The Chaliyar is a peaceful river which originates from the Elambalari Hills in the Wayanad plateau and empties in the Lakshadweep Sea.It is a peaceful river that runs through the Nilambur district of Kerala. It runs for roughly 70 KM into the Beypore Port. 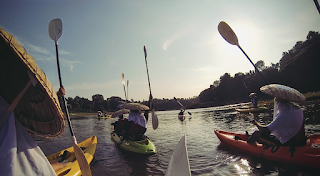 Chaliyar River Challenge by Clean Rivers Initiative facilitated by Jellyfish Water-sports came up with the idea of Kayaking for conservation of this river. Chaliyar was earlier a polluted river from the effluents of Gwalior Rayons factory at Mavoor which destroyed the marine life and caused cancer in the local villagers. Chaliyar Action Committee founded by K.A.Rahman under his leadership fought for the cause of river with the support of villagers which resulted in the closure of the factory. Since then the river has come a long way to regain its original beauty and now the organisation of program like Kayak for a cause is helping in creating more awareness about the conservation of river. The Chaliyar River Challenge aims at initiating a connection between youngsters, local people, children and families with the river. The professional kayakers engaged with common people in this three daylong event to create awareness about the river through sports and adventure. The event will be flagged off from Nilambur on 23rd of September and will conclude at Beypore on 25th of September. Rivers are neglected in our country because we don't really have any connections with them. We respect them as mothers but forget this relation while throwing industrial waste, domestic waste and other wastes in them. We have forget or never remembered to get a walk along the side of the river or swim in them because they are too dirty for it. Water adventure sports like rafting take place in hill stations only where water is fresh but as we come towards the plain-land Rivers have reduced to a drain as they are used more for commercial purposes than recreational purposes. Adventure sports if played in them will create awareness about the condition of the rivers and will help in cleaning them. Chaliyar River Challenge is one such example. 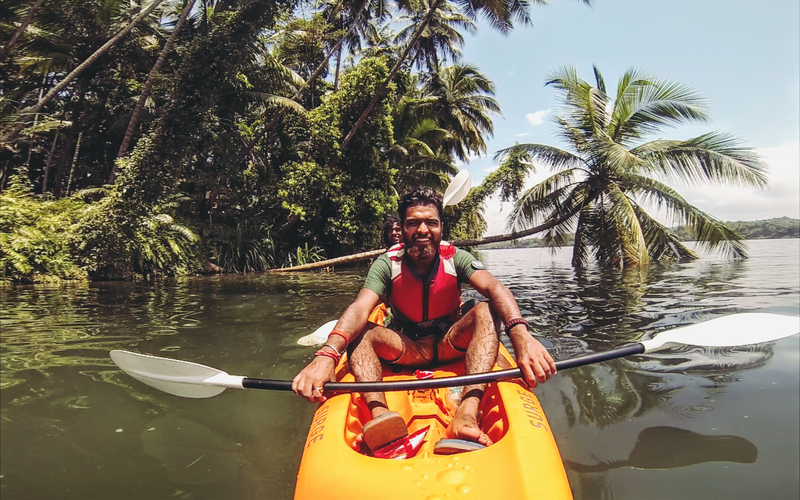 The professional kayakers have come together to organize kayaking in the river Chaliyar and anyone can participate in it by applying for it at an affordable prize. You can get the details by clicking this link - Let's Kayak For A Cause . The adventure lovers and nature lover both have something for them in this activity. Moreover it promotes a cause for conserving a river which opens gates for many such projects in other parts of the country and the best part is that you needn't be a professional kayaker for this event; boats and other equipment are also provided by organizers. The following images from the last year gives an idea of what's it all about. Even though the river water is used for drinking purposes and act as lifeline for farmers due to its use in irrigation these water sources are neglected. #ChaliyarRiverChallenge aims at bringing the transformation of rivers by changing the way we see rivers. 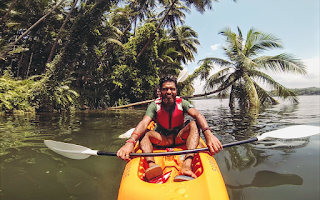 Engaging people with rivers through activities as in the case of Kayaking in river Chaliyar with professional Kayakers including Asian championship winner and Limca Book of World Record name holder Kaustubh Khade make people aware with the issues this river is facing. Such a large scale event also diverts media attention which further helps in creating more awareness. The people and society realize there role in keeping the river clean by understanding the problems faced by our rivers by joining such an initiative. Connection with nature will also create awareness about conservation of nature and natural beauty. Woh Subha Kabhi To Aayegi?